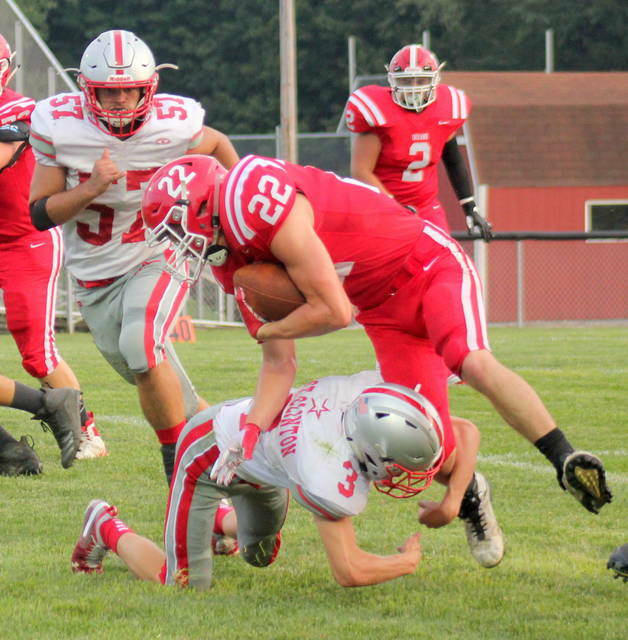 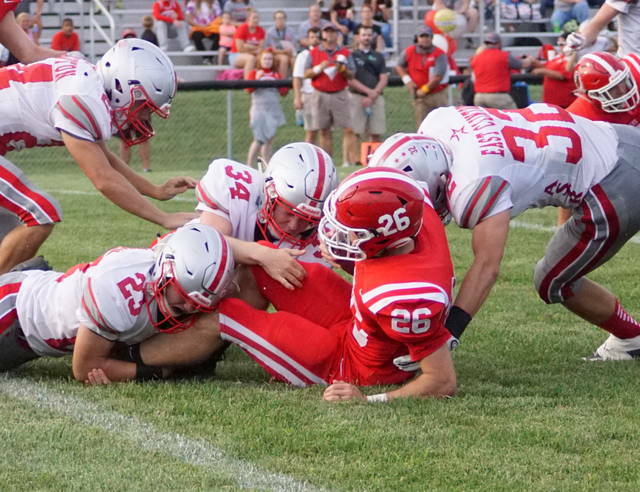 CEDARVILLE — Rushing for 405 yards, the Cedarville Indians powered their way to an 18-14 win over East Clinton Saturday in a non-league football game pitting two former Kenton Trace Conference rivals at Hickman Field. 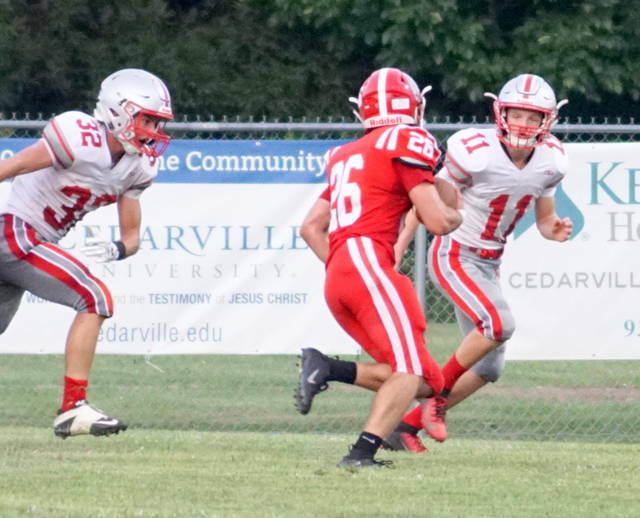 Cedarville sophomore Kane Oden, a load at running back, lowered his shoulder and plowed through two East Clinton defenders on his way to the end zone to cap an 85-yard drive and the final score of the game. 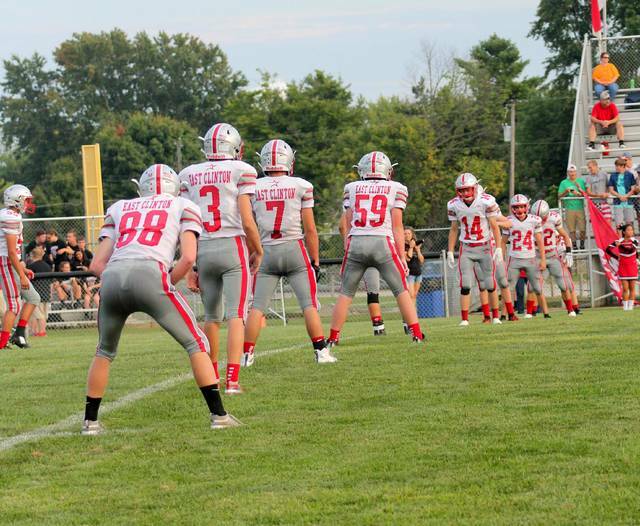 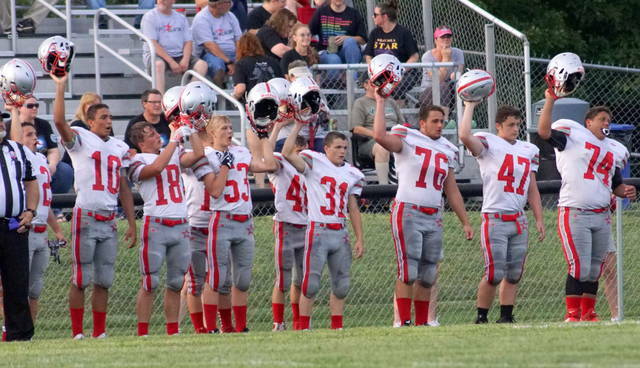 East Clinton is 0-2 on the year. 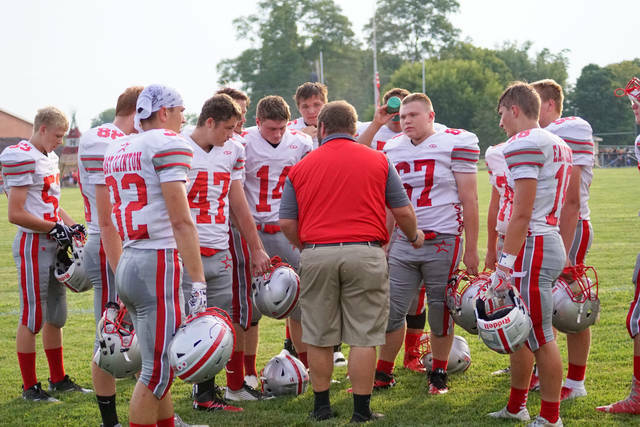 Cedarville is 1-1, matching its win total from 2017. 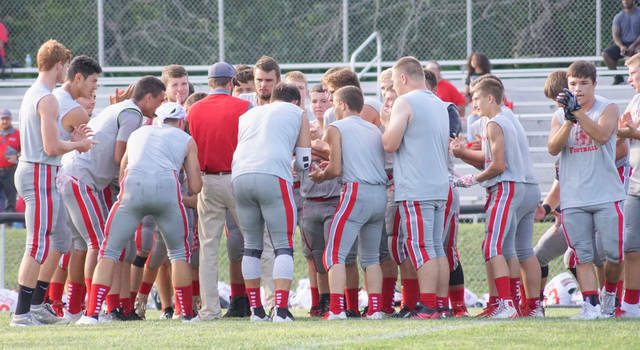 The Indians are an older football team than last year. 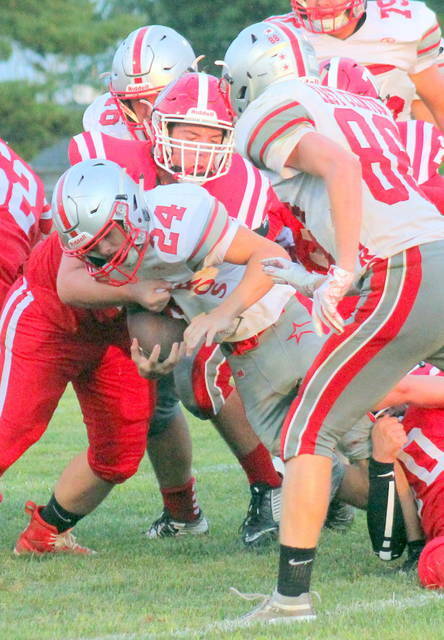 The offensive and defensive lines both shoved their opposing players back causing problems for the Astros. 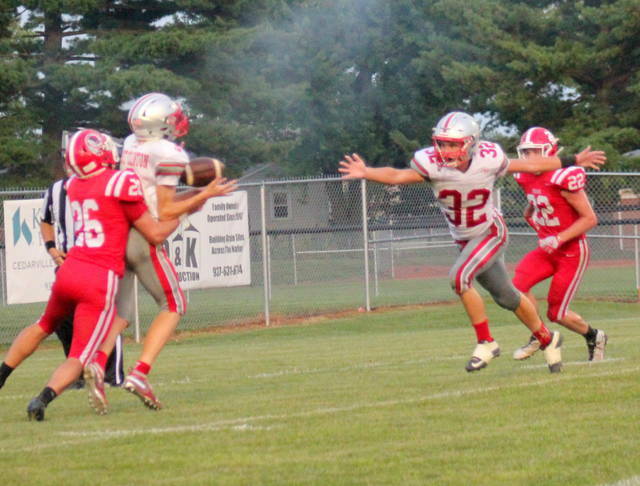 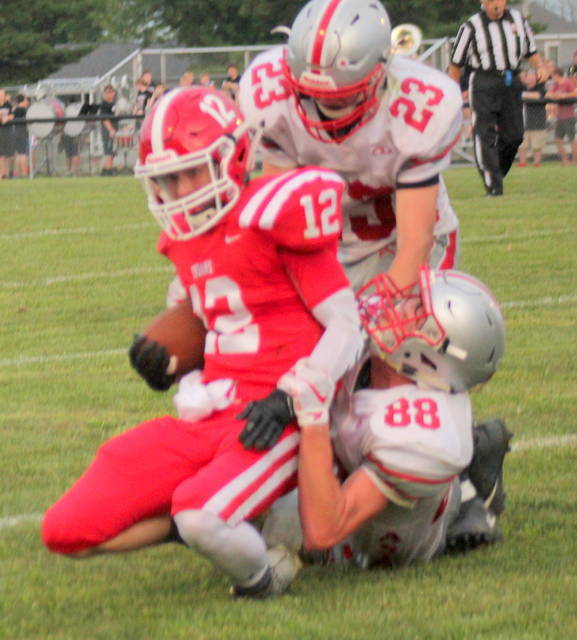 Oden led the way for the Indians putting up 155 yards and two rushing TDs on only 15 carries. 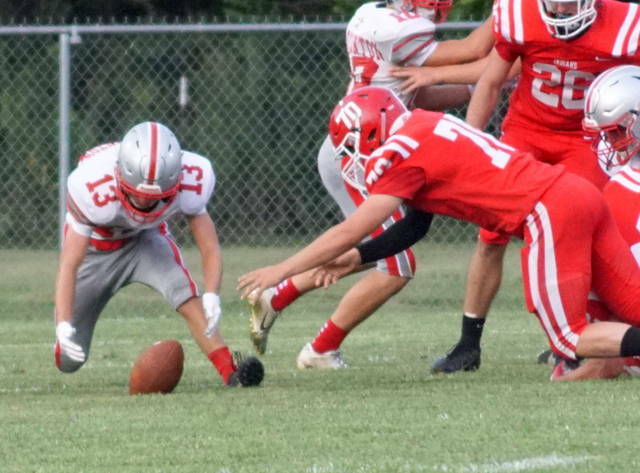 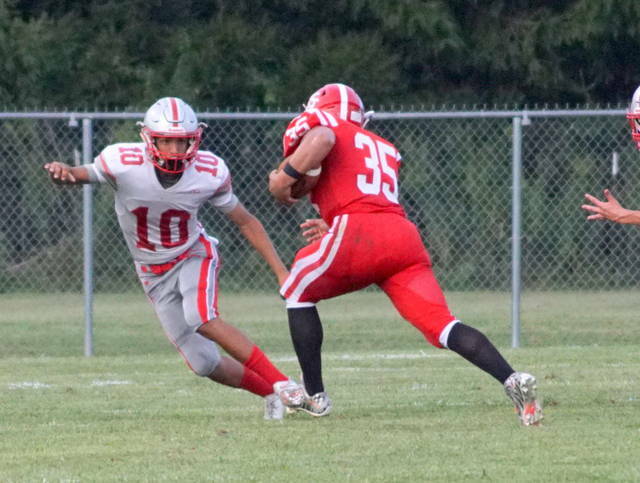 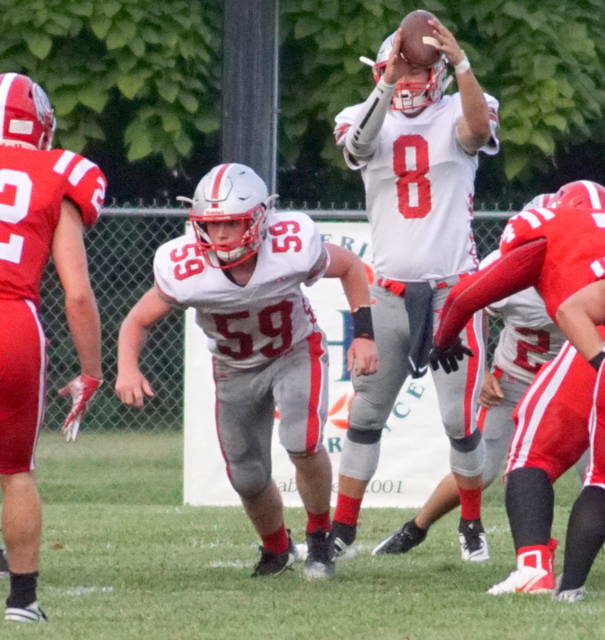 Astros quarterback Gunner Neanover threw for 190 yards and connected with Branson Smith for two TDs and 106 yards. 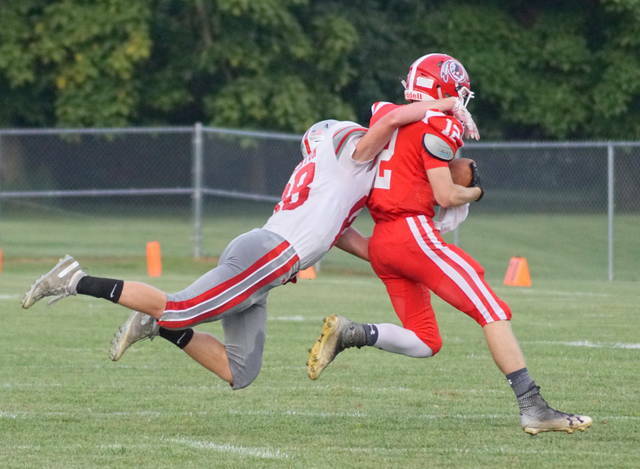 Cedarville defenders Colby Cross and Hayden Lee picked off passes to end the final two Astro drives and secure the victory.